3 · Inventors Battle for Sea Power · Anon. · ar; condensed from The Christian Science Monitor, 1940. 8 · Inside the Vatican · Anon. · ar; condensed from Grit, 1940. 3 · Invisible Worlds to Conquer · Anon. 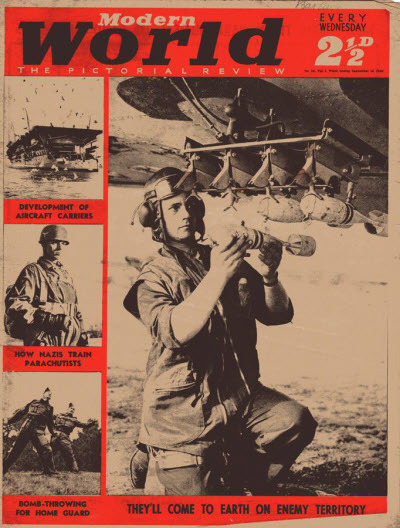 · ar; condensed from The Sunday Sun and Guardian, Australia, 1940. 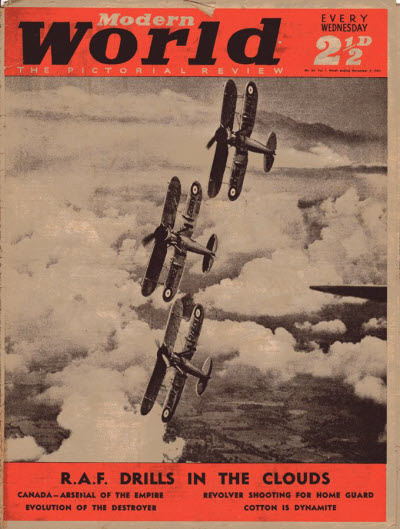 9 · Dog Fight · James L. H. Peck · ar; condensed from the New York Times Magazine, 1940. 11 · Supplying a Modern Army · Lowell M. Limpus · ar; condensed from a chapter of Twentieth Century Warfare, New York, Dutton, 1940. 2 · Under the Tyrants Heel · Louis P. Lochner · ar; condensed from The Christian Science Monitor, Boston, 1940. 5 · Heroes Dictators Worship · Anon. · ar; condensed from New York Times Magazine, 1940. 9 · Car of the Future · Anon. 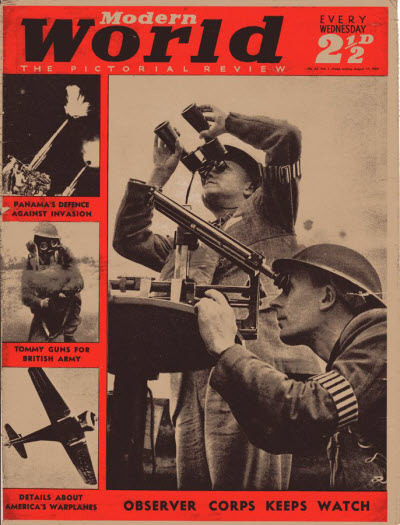 · ar; condensed from Sunday Sun and Guardian, USA, 1940. 11 · Balloons Play Tricks · Anon. · ar; condensed from Western Mail, Cardiff, 1940. 4 · World Domains That Hang in the Balance · Anon. · ar; condensed from New York Times, 1940. 5 · Kilts to See No More Battles · Anon. 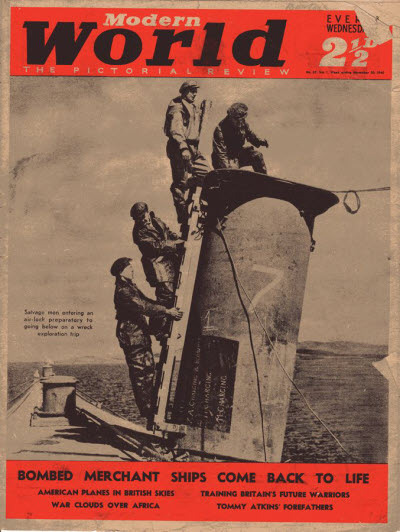 · ar; condensed from Toronto Star Weekly, Canada, 1940. 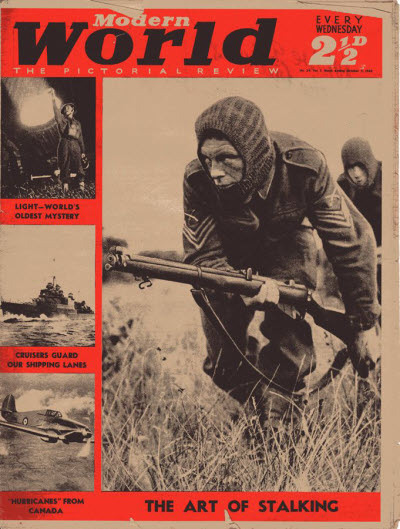 8 · Sons of the Mutineers · J. E. Jackson · ar; condensed from Grit, USA, 1940. 9 · Jules Verne Foresaw Scientific Warfare · Pierre Devaux · ar; condensed from LIllustration, Paris, 1940. 3 · Watchers in the Sky · John Allan May · ar; condensed from Christian Science Monitor, 1940. 11 · Dame Who Is King · Anon. · ar; condensed from Grit, Williamsport, 1940. 9 · Canada Helps Britannia Rule · Anon. 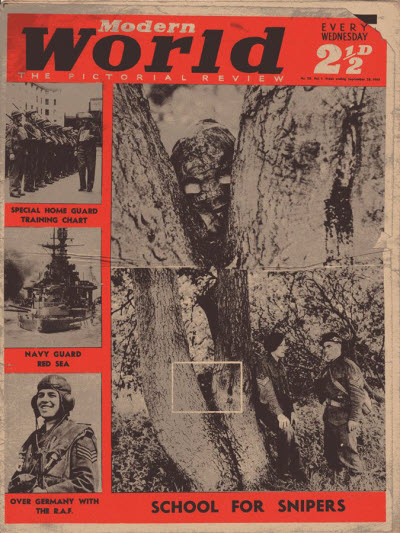 · ar; condensed from Star Weekly, Toronto, 1940. 4 · The World After the War · Anon. · ar; condensed from Colliers, USA, 1940. 9 · Fishing for Iron · Anon. 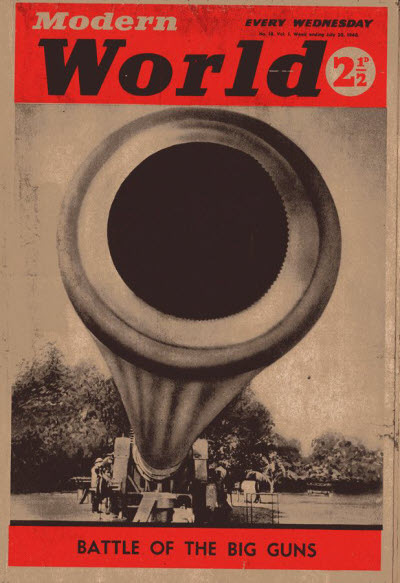 · ar; condensed from Every Week Magazine, Cleveland, USA, 1940. 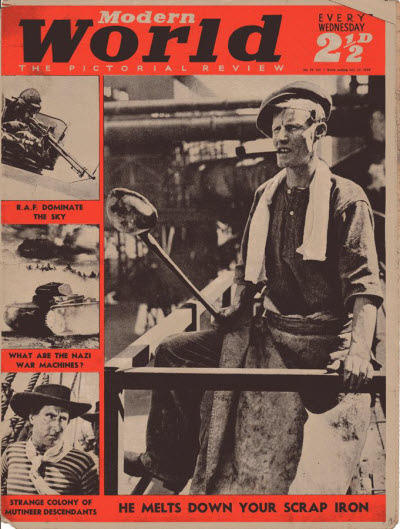 4 · Rubbers Man-Made Rivals · Waldemar Kaempffert · ar; condensed from The New York Times Magazine, 1940. 11 · History in Celluloid · Anon. · ar; condensed from The New York Times Magazine, 1940. 5 · Land of the Lotus · Anon. · ar; condensed from Christian Science Monitor, 1940. 3 · Novelties in Arms · Anon. · ar; condensed from Grit, 1940.